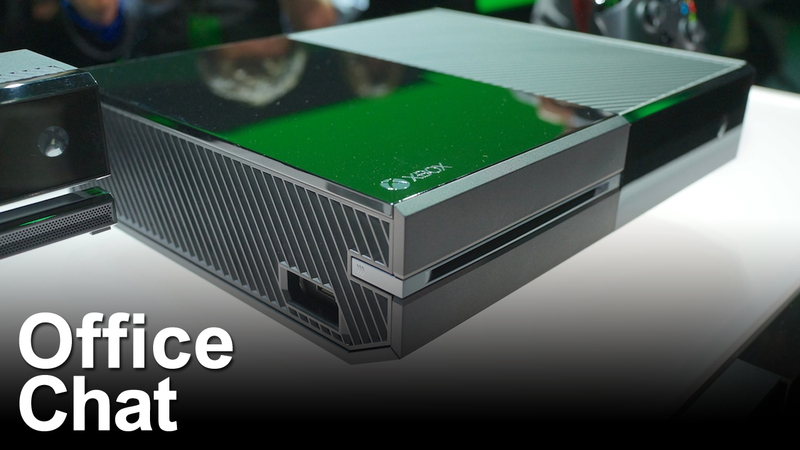 In this special, singularly-focused edition of Office Chat, I'm joined by Jim Sterling and Jordan Devore as we discuss our reactions to the Xbox One reveal. From the frustrations of having to figure out what to now call the original Xbox console, to disappointing news that the massive library of existing Xbox Live Arcade games will have no home in the One, skepticism runs rampant. It's not all bad news. The "snap" feature has earned some marks from us at least, but it appears that Microsoft is going to have to put out one hell of an E3 showing to win over these hearts and minds.